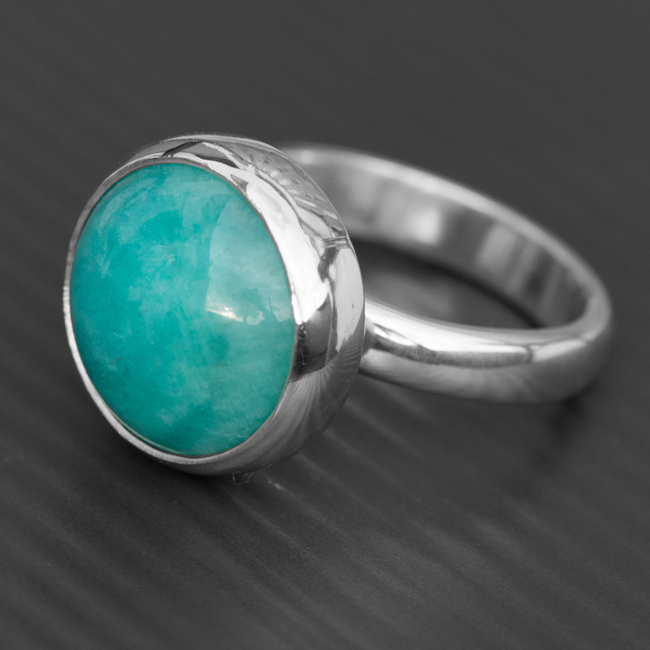 This stunning silver Amazonite ring is handmade using sterling silver. 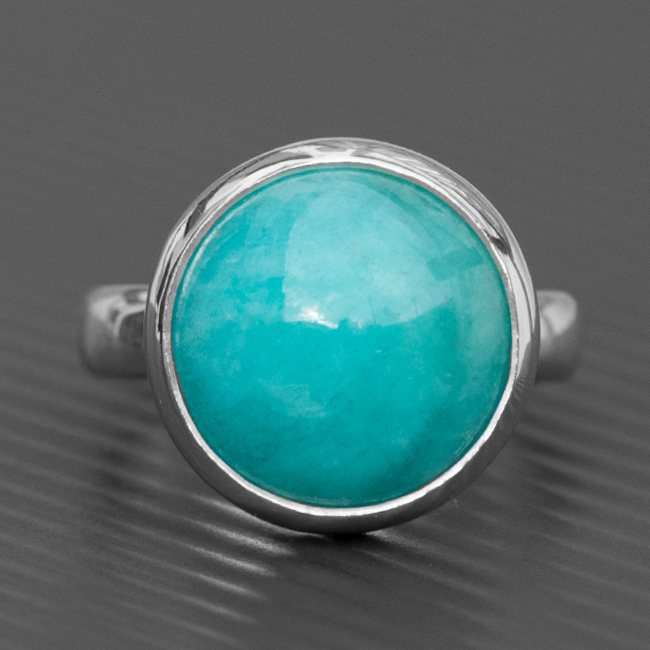 A hand cut Amazonite is the hero of the piece, which is inset in a silver bezel and rests on a gorgeous sterling silver ring. 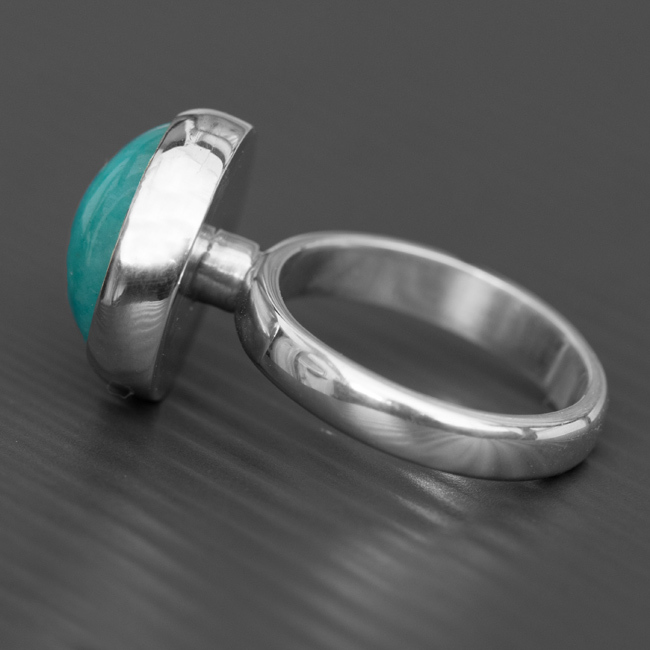 It also has a silver ledge behind the ring which raises the stone and sits high on the finger. SKU: N/A. Availability: In stock Size: 45 × 60 cm Shipping Weight: 0.3 kg Categories: All Jewellery, Rings, Ring, For Woman, Collections, Birthstones. 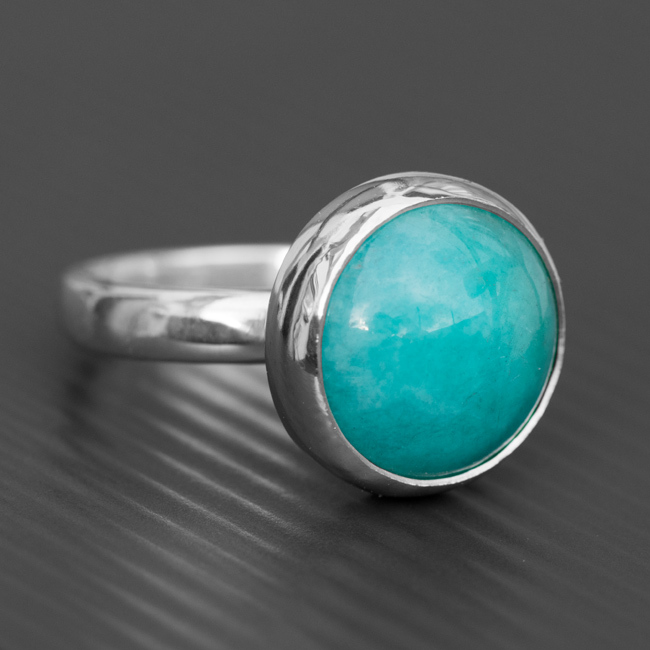 Tags: amazonite, amazonite ring, bespoke, bespoke silver, birthstone, birthstone ring, commission, engagement ring, gemstone, handmade, handmade silver, jewellery designer, jewellery maker., organic, ring, september birthstone.